Comments: This image is actually first light for my ED80 telescope. I have had the scope for near on 1 year but only ever used it for guiding up until now. 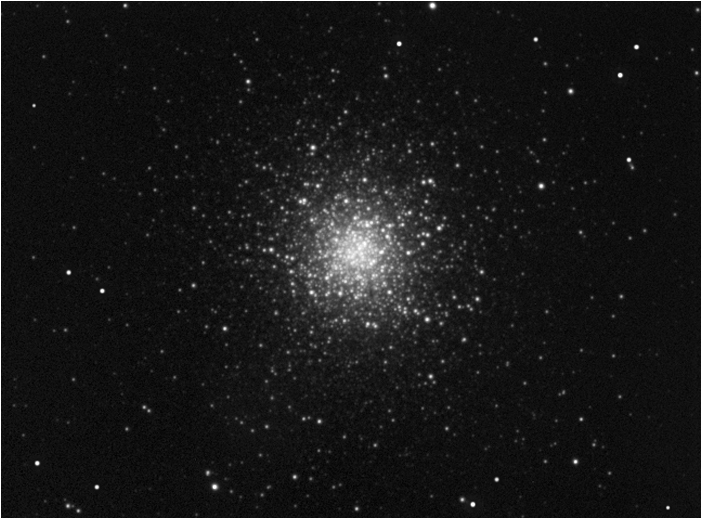 M13 is a great globular cluster in the constellation of Hercules. 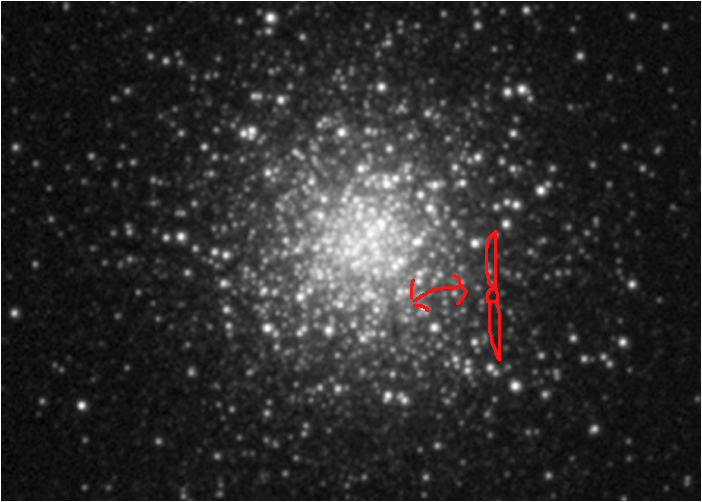 It is about 145 light-years in diameter, and it is composed of several hundred thousand stars and is 25,000 light years away from earth. It has an interesting dark dust lane near bottom right which is referred to as the 'Propellor' for obvious reasons.